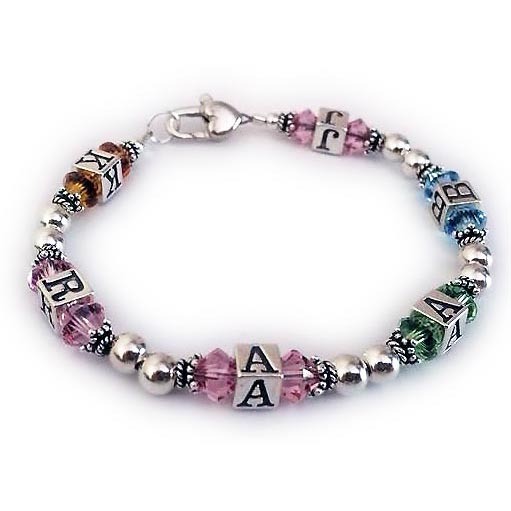 This is a Birthstone Initials Bracelet and it is shown with 6 grand kids' initials with their cooresponding birthstone crystals by Swarovski. If you have more than 6 kids or grandkids we can do a multiple strand bracelet. YOU CHOOSE the crystal or birthstone colors during the ordering process. 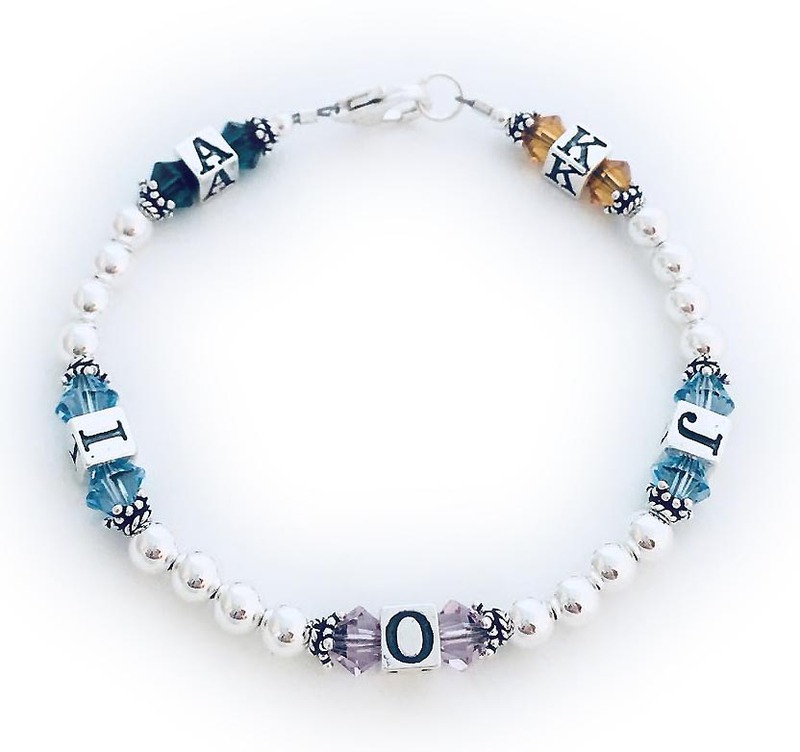 To order a bracelet like this one enter "K/Nov R/Oct A/Oct A/Aug B/Dec J/Oct" in the first blank. Space is limited so please abbreivate the birth months. If you need more space you can email, text or phone in your orders. You may also add charms to this design. Call or email me with questions (615) 490-2177.